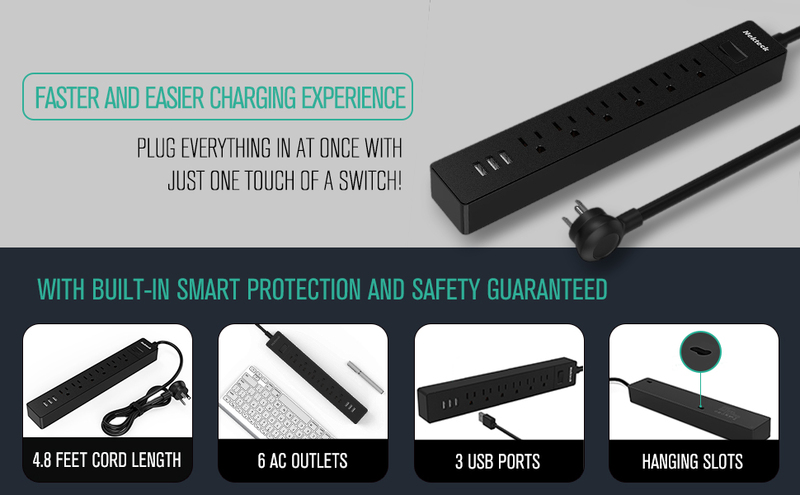 Protect your devices from power surges with Nekteck Power Strip. It has 1700 joule energy rating that provides standard protection for your electronic devices. It is safety designed with overload protector which makes it turn off automatically once the load power exceeds the rated power. 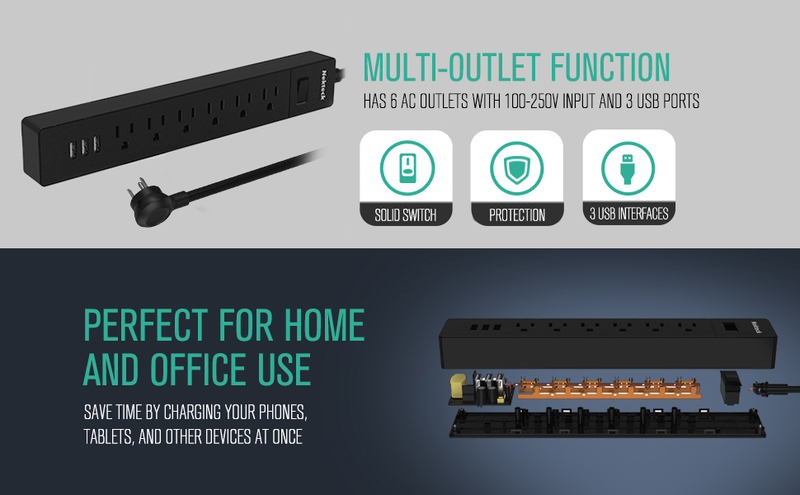 This power strip has 6 surge-protected AC outlets, 3 built-in USB ports that provides 3A maximum and ON/OFF switch. It has built-in IC with supercharge technology that smartly detects your device to deliver its fastest possible charge speed up to 2.4A on each port. The USB port can charge Apple and Android phones and other USB devices.